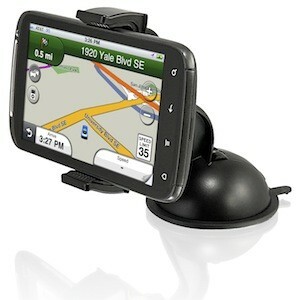 Next up we have every road trips companion for your smartphone or GPS. 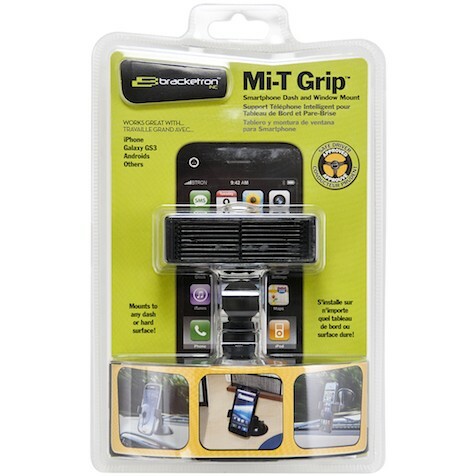 Bracketron has provided me with their latest mobile mount, the Mi-T Grip, that attaches to the dash, window, or any hard surface. As for what features it is packing, well for starters it has a rotating head, expandable arms, and full access for all mobile devices. 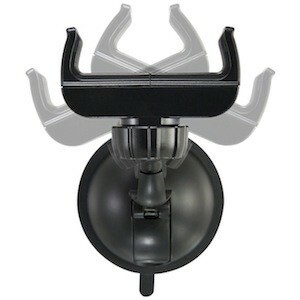 The arms actually expand from 2 1/4 inches to 3 1/2 inches wide making it easy to mount to your phone or a passenger’s phone for easy viewing access. Getting the mighty grip mounted to the windshield as fast and easy I actually ended up having to go with the windshield due to numerous angles on the dashboard. Once mounted it was easy to unscrew and adjust the pivoting head by unscrewing the back and tighten it back up then your phone is locked in the angle that you have chosen. 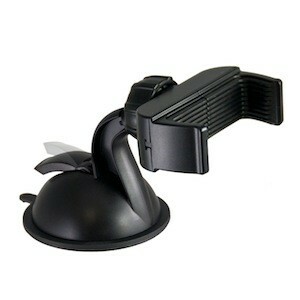 The expandable arms made it incredibly easy to insert and remove the phone from the mount whether it was my phone in a rugged case or my wife's phone, the arms easily expand and firmly held the phone in place. Lastly, when my phone was in the case, it rested firmly with a tight grip, allowing my access to the touchscreen, to enter addresses while not moving of course, and the phone would not move when the phone is pressed on. Now for the bad, and this is more of an issue with the phones capabilities and how hot your Summer gets to be. My phone overheated in minutes and of course with the phone being either on the dash or the windshield, I should have expected this with the Arizona summers. That being said, the Temporbond can put up with a lot because while I may not be able to put my phone in it during extreme heat, I decided to mount to my windshield and see what it can take, and to my surprise, after a week and a couple hours to cool down, it securely attached back to the dashboard. The Mi-T Grip is a great companion for the road as it is built to fit just about all smartphones, whether you upgrade or place someone else’s device in it’s Kung Fu grip.